Philipsburg Manor, Sleepy Hollow, NY. Photograph by Ana Lucia Araujo, 2015. In the last two decades scholars made significant efforts to emphasize the existence of slavery in the US north. Despite these efforts and because scholarship takes time to reach the public, national and international general audiences still think that slavery was restricted to the south of the United States. The city and the state of New York, for example, are often perceived as a territory where abolitionist ideas and movements prevailed. They are seem as spaces of freedom, to where enslaved individuals could escape slavery. Few people realize that slavery was abolished in New York only in 1827. In 1991 the slave past of the north of the United States eventually emerged almost by accident. During an excavation aimed at constructing a new federal building at 290, Broadway, hundreds of bone remains of Africans and African Americans were uncovered, unearthing a site that would become known as the African Burial Ground. The debates between black activists, scholars, and public authorities that followed this discovery emphasized the need of highlighting the importance of slavery and the contribution of Africans and Africans Americans to the construction of New York City. This public debate resulted in a number of scholarly and public initiatives. In 2003, Leslie Harris published her award-wining book on the topic In the Shadow of Slavery: African Americans in New York City, 1626-1863, based on research work started by the same time the African burial ground was uncovered. Two years later, the exhibition Slavery in New York was unveiled at the New-York Historical Society, which was followed by a second exhibition, New York Divided: Slavery and the Civil War Online Exhibit. After years of research and debates, President George W. Bush proclaimed the site a national monument in 2006. A memorial was dedicated in 2007. Today it is no longer possible to ignore New York’s slave past. 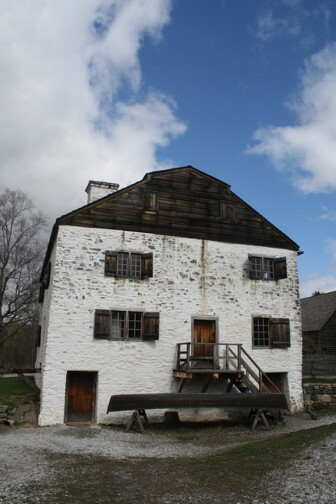 Despite the popularity of the initiatives mentioned above, few people had the opportunity to visit an important heritage site of slavery situated about 20 miles from Manhattan: the Philipsburg Manor, Upper Mills, in Sleepy Hollow, NY. This heritage site is part of a larger complex of sites maintained by the Historic Hudson Valley. The history of the manor started in 1693, when King William III and Queen Mary of Breat Britain granted the territory to Frederick Philipse (1626-1702), a Dutch merchant. By the time, Philipse was the richest resident of New York City, where he had been living for forty years. Upon his death, he bequeathed the northern area of the manor (Philipsburg Manor) to his son Adolph Philipse (1665-1750), a wealthy international merchant (and bachelor), who lived in Manhattan. Adolph’s nephew, Frederick Philipse II (c. 1698-1751), became the owner of the southern portion of the manor (known as the Philipse Manor Hall, in Yonkers). Philipsburg Manor, photograph by Ana Lucia Araujo, 2015. 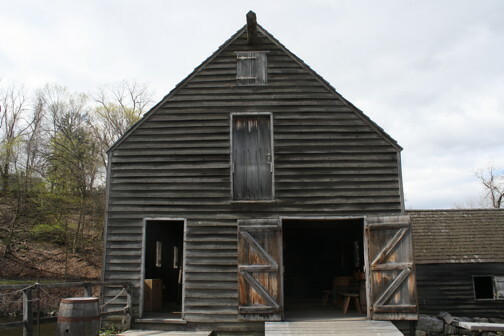 Between 150 to 200 acres of Philipsburg Manor, Upper Mills, were leased to dozens of tenant farmers of European origin. 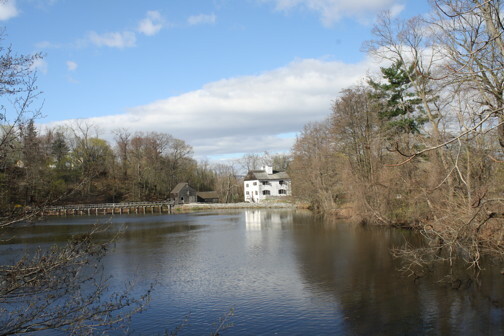 Nevertheless, the Philipses kept several hundred acres of its territory, covering the point where the Pocantico River met the Hudson River, an area of great potential for power generation and transportation. This territory included mills and plantations maintained by the work performed by enslaved men, women and children. The Philipses were one of the largest families of slave owners in the colonial north. Over the years, several generations of slaves lived in Philipses’ state. By the middle of the eighteenth century, in addition to the slaves kept in the city, Adolphe Philipse owned twenty-three slaves in the Upper Mills. His nephew Freederick Philpse II owned about twenty-two slaves. Of course, these numbers do not seem big in comparison to the size of the Caribbean plantations or to the number of enslaved people owned by Portuguese slave owners in Brazil. However, by the time of its establishment, the agricultural, milling, and trading activities developed in the Philipsburg Manor, Upper Mills, were significant. Indeed, the importance of the site can only be understood by looking at its position in the larger context of the Atlantic slave trade in the North and South Atlantic systems, in which the Dutch were major players. This building reproduces the original gristmill building. 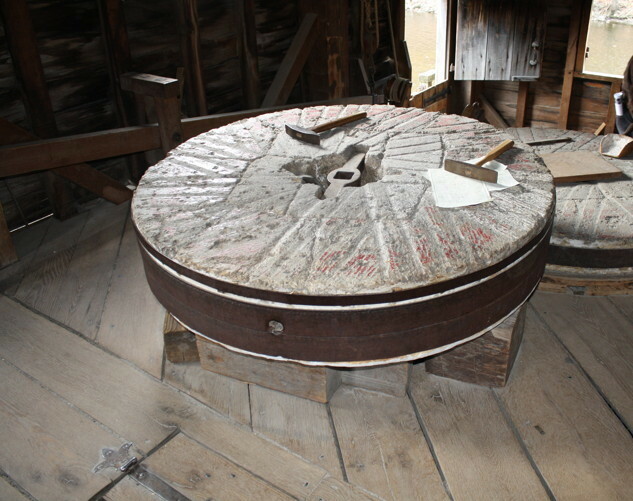 By operating a massive stone gristmill, enslaved workers transformed the wheat they cultivated into flour. The enslaved women fabricated butter from the milk produced in the state. These and other commodities were sent to New York urban area and exported to plantations in the West Indies. The interior of the manor’s house. Photograph by Ana Lucia Araujo, 2005. Today, the manor’s whitewashed fieldstone house is one of the main buildings featured in the site. Restored in the 1960s, its present day appearance corresponds to what it looked like in the middle of the eighteenth century. It also includes a barn and the gristmill. The site also comprised a bakehouse, a storehouse, a lime house, and the slave quarters, in addition to the meadowlands, grain fields, and orchards. In all these venues and in the domestic space the work was performed by enslaved Africans and their descendants. If in the last five years the presence of slavery finally started being highlighted in important US slavery heritage sites like Monticello, Mount Vernon, and the Arlington House in Virginia, the crucial role of slavery in Philipsburg Manor started being emphasized much earlier, since the early 2000s. 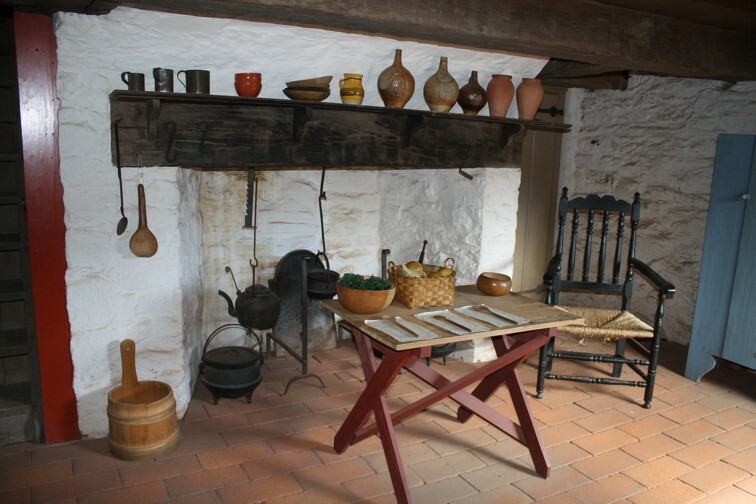 The various dimensions of the lives of enslaved Africans in Philipsburg Manor are recalled in the guided tours, in the site’s pamphlets and website, and its main resource guide published in 2004. Gritsmill interior. Photograph by Ana Lucia Araujo, 2015. Based on Adolphe Philipse’s postmortem inventory, the various interpretation activities performed in the site underscore the work and the living experiences of the enslaved workers. Despite all these efforts, however, for Philipsburg Manor’s public historians, like Michael A. Lord (associate manager of education at Historic Hudson Valley), it is hard to reconstruct the history of the men, women, and children like Ceaser, Susan, Abigal, Charles, Tom, Sam, and several others listed in the inventory. Making their stories available to the public also remains a big challenge. 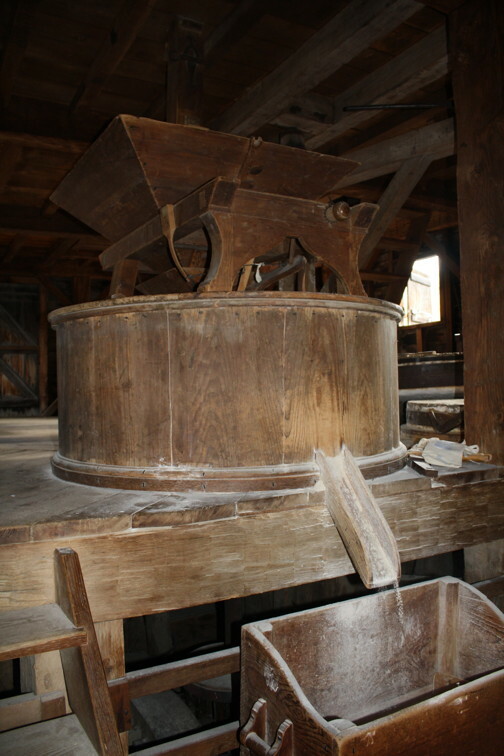 Interior of the gristmill. Photograph by Ana Lucia Araujo, 2015. Unlike other museums and sites featuring the role of the victims of crimes against humanity, enslaved individuals are no longer alive to give testimonies and tell their experiences and stories to the public. This gap complicates the work of historians and interpreters who attempt to translate the slave past to larger audiences. To this end, the involvement of the local African American community (which in this case is represented by an African American advisory board), who appropriates the heritage site as a site of memory to honor the Africans who helped to construct New York and the United States, is a crucial element. Regardless of the challenges to engage the public in initiatives underscoring this tragic and sensitive chapter of US history, whose legacies remain alive in the present, a visit to the Philipsburg Manor, Upper Mills, is mandatory to all those studying history, heritage, and memory of slavery.